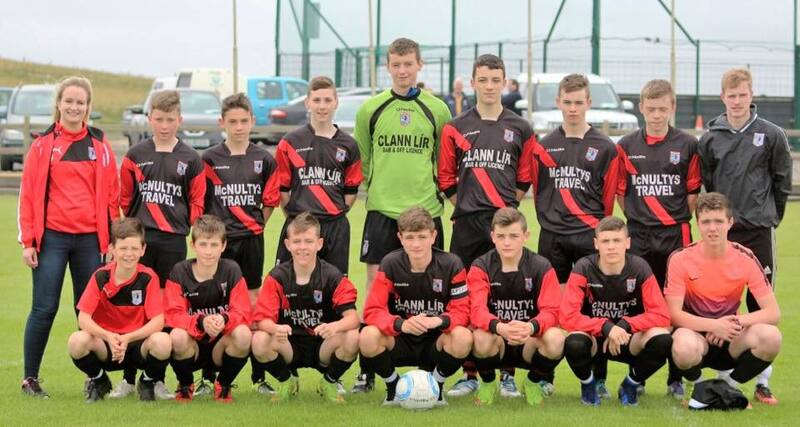 erris united football club » HOW MANY DID EVAN GET? HOW MANY DID EVAN GET? 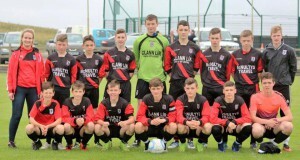 Erris under 16’s were at home to Ballyheane (25th July) and were determined to put on a show for the large crowd. Managers Kyle, Lisa, Padraic and Eamon had them well prepped as they started the match at a super tempo. Dylan Walker left scorch marks up the right wing before opening the scoring. Padraic Cowman scored twice, capping a performance where he dominated the left side of the pitch. Shea O’Donoghue put in a shift in the middle and won all his aerial battles. Iorras U16. Eric’s daughter Lisa & son Kyle took charge of this fixture with son, Luke as Captain. Luke O’Reilly scored two, including a wonderful second where he charged into the box, fake action pumped, sat the keeper down and ‘Pirlo’ed’ the ball gently over the line. Robert Barrett scored at the back post and Eamon Fallon scored on his birthday. Final score us 7 them 0. This was a remarkably mature performance by the whole squad in difficult circumstances. Evan Ivers could have scored loads but decided to be provider today, setting up (nearly) all the goals. Man of the Match was Owen McHale at centre back. He should open up a cleaning business as he tidied up everything at the back. Thank you to all players, managers and supporters. Comments Off on HOW MANY DID EVAN GET?